← Who was Jack Ruby? Blockbuster novel Saving Jackie K narrates a thrilling fictional account of the tragic assassination of President John F. Kennedy. 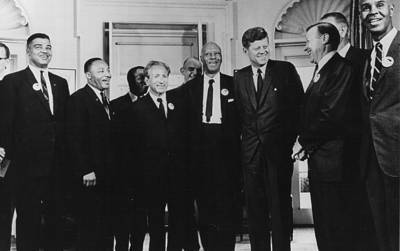 But when discussing charismatic leaders from the 1960s, JFK must share the spotlight with the Reverend Martin Luther King Jr. Both men championed civil rights, and both were gunned down in their prime by political assassins. 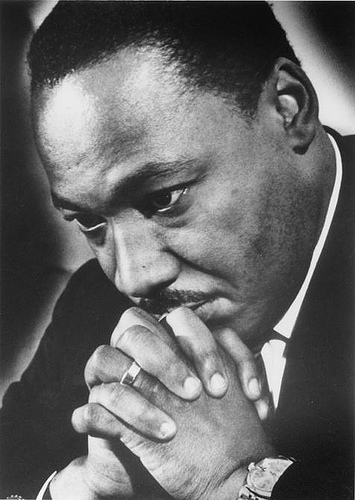 An Atlanta, Georgia native, Martin Luther King Jr. was born on January 15, 1929 to Reverend Martin Luther King Sr. and Alberta Williams King. The senior King, born Michael, changed his own name and his son’s to Martin Luther in 1934, after becoming influenced by the legacy of the Protestant reformer. 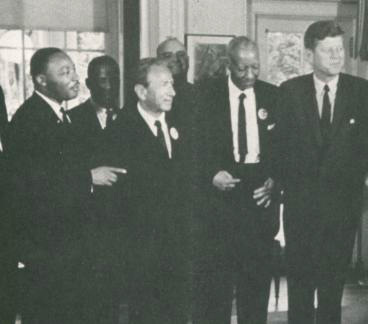 Martin Luther King Jr. grew up in racially segregated Georgia, and attended Booker T. Washington High School. An exceptional student, he skipped both ninth and twelfth grades, and began his college education as a fifteen-year-old. He ultimately earned three degrees: Bachelor of Arts in Sociology (Morehouse College, 1948); Bachelor of Divinity (Crozer Theological Seminary, 1951); and Doctor of Philosophy (Boston University, 1955). 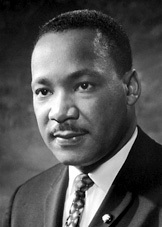 King served as a Baptist Minister, and began his career in civil rights at the young age of 26. In 1953, King married Coretta Scott, a singer and a civil rights activist in her own right. The couple had four children. Inspired by his Christian faith and the peaceful teachings of Mahatma Gandhi, Dr. King became the leader of the civil rights movement in the United States in the 1950s and 1960s. 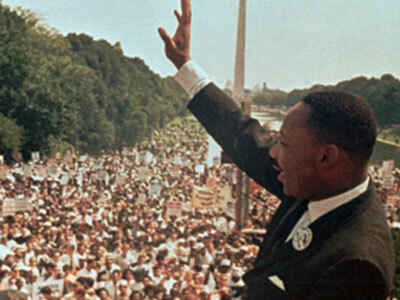 Advocating nonviolent resistance, such as protests, grassroots organizing, and civil disobedience, Dr. King led by words and example to achieve nearly unimaginable change. 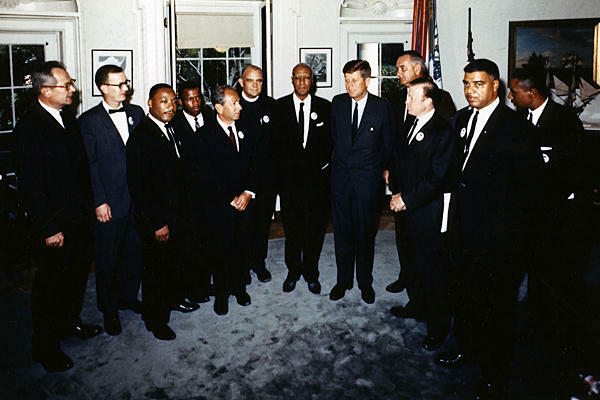 King served as spokesman for the Montgomery Bus Boycott in 1955. In order to force integration of the Alabama city’s bus lines, virtually all African-American citizens boycotted the bus for over a year, a hardship for many who had to walk miles to work each day. Ultimately, the Supreme Court declared racially segregated buses to be unconstitutional. 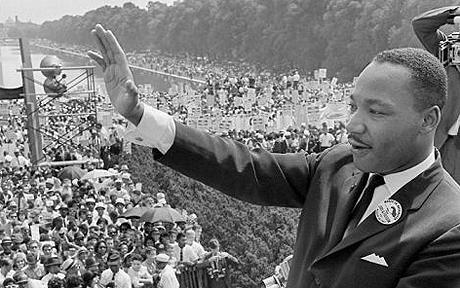 In 1963, he led a coalition of civil rights groups in a series of nonviolent protests against segregation in Birmingham, Alabama. The “Birmingham Campaign” involved boycotting local businesses, sit-ins, and marches. When police responded with excessive force, public outcry led to new civil rights legislation. 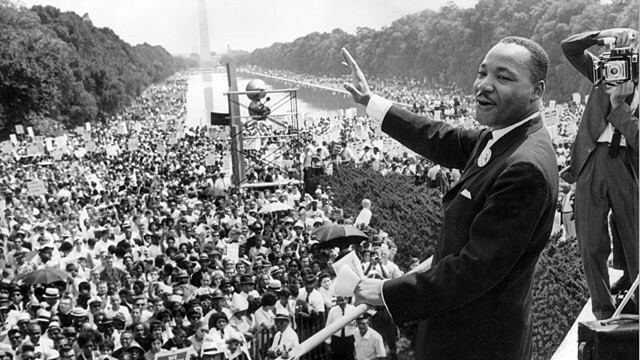 In a watershed moment for civil rights, Dr. King delivered his monumental “I have a dream” speech in August of 1963 during the historic “March on Washington for Jobs and Freedom.” From the steps of the Lincoln Memorial in Washington DC, King spoke to over two hundred thousand, rallying for racial equality and an end to discrimination. 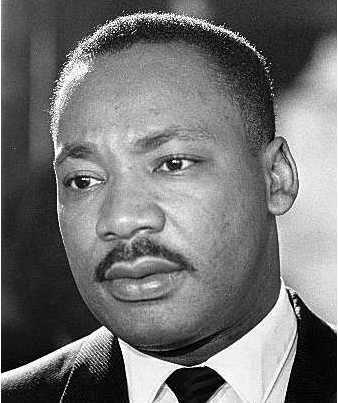 As a result of his nonviolent efforts to effect change, Martin Luther King Jr. was awarded the Nobel Peace Prize in 1964. At 35 years of age, he became the youngest person to receive this honor. The life of Martin Luther King Jr. came to a sudden and brutal end on April 4, 1968, when the thirty-nine-year-old was shot dead outside the Lorraine Motel in Memphis, Tennessee. Escaped convict James Earl Ray was convicted of the murder and sentenced to 99 years in prison. Ray died in jail in 1998.